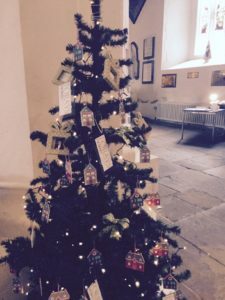 Home / News / Local Christmas Tree Festival a great success! 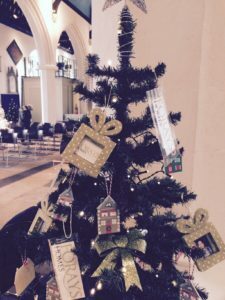 The Farnham community has come together to support their local church with it’s first Christmas Tree festival. 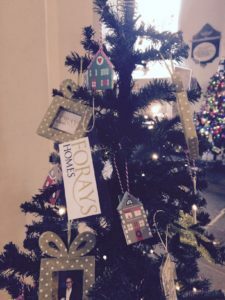 An exciting array of imaginative tree designs in all colours and sizes have been carefully displayed by over 80 members of the Farnham community, including businesses, charities, churches, schools, community groups and individuals. Traditional as well as modern, small as well as large, all displayed in this beautiful church that dates back to the eleventh century. So – what did Forays decorate their tree with to best represent us? Tea bags? Cow figures? Dog leads??? Houses of course! !